I’m writing this article because I have a friend who suffers from breast cancer. I want to dedicate this to her and to all women who have or have had a close family member who has suffered from or is suffering from this disease! Ask God to light the way for science to find a cure and end this disease. 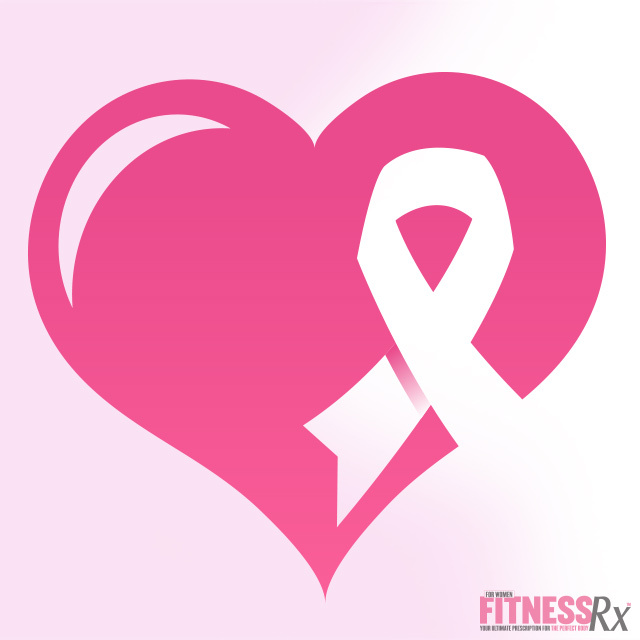 Breast cancer prevention starts with healthy habits, according to the Mayo Clinic. Some of these healthy habits include limiting the amount of alcohol you drink and staying physically active. And in fact, a report released December 11, 1997 by the Harvard Center for Cancer Prevention reinforces the results of their 1996 report, which indicates that 50 percent of all cancer is preventable by modifying individual lifestyle factors, public policies, and clinical practices. The 1996 report states that nearly 50 percent of all cancer risk could be reduced by following a modified diet that is low fat, high in fiber, includes little or no red meat, as well as increasing exercise, limiting alcohol use, and quitting smoking. A healthy lifestyle, clean eating, regular exercise and positive thinking all play an important role in prevention! Control your weight and body fat percentage. Fat tissue produces excess amounts of estrogen, high levels of which have been associated with the risk of breast, endometrial and some other cancers. Exercise. For most healthy adults, the Department of Health and Human Services recommends at least 150 minutes a week of moderate aerobic activity or 75 minutes of vigorous aerobic activity (such as running), in addition to strength training exercises at least twice a week, according to the Mayo Clinic. Breast feed. Research shows that the longer you breast feed, the greater the protective effect is against breast cancer. Consume a healthy diet. Consume as many fruits and vegetables as possible. The superstars for cancer protection are all cruciferous vegetables like broccoli, cabbage, Brussels sprouts, cauliflower. The superstar fruits are citrus, berries and cherries. Minimize your consumption of the high-glycemic index carbs and increase your high-fiber food. Some examples of high-glycemic carbs include white flour, white rice, white potatoes, sugar and products containing them. Hormonal changes triggered by these foods can promote cellular growth in breast tissue. So it’s a good idea to consume whole grains and bean/legumes instead. Beans and legumes are a great choice because of their high fiber and lignan content. Take your supplements daily. It’s recommended that you take a multivitamin, 500 to 1,000 milligrams of vitamin C in divided doses, 200 to 400 IUs of vitamin E as mixed tocopherols, and pharmaceutical grade fish oil for optimal health. It’s also a good idea to take 200 mcg of the mineral selenium or eat one to two Brazil nuts as an alternative. If you have a chronic medical condition or take prescription drugs, consult your physician before taking any new supplements. Maintain regular gynecological examinations including pap smears and mammograms. Also perform monthly breast self-exams. Avoid alcohol and smoking. A Harvard Nurses’ Health Study found that consuming more than one alcoholic beverage a day can increase breast cancer by 20 to 25 percent. Increase Vitamin D intake. This may help prevent breast cancer by up to 20 percent. Vitamin D-rich goods include salmon, tuna and mackerel. Doctors also recommend 15 minutes of sun exposure without sunscreen to help your vitamin D levels. Prevention is very important, so go to the doctor regularly. Having a healthy lifestyle is our mission!